Ghent's Pack of 6 Nexus Whiteboard Tablets allows you to brainstorm, collaborate and present ideas. Fill one side of the double-sided, lightweight high-pressure laminate whiteboard with notes, graphs and more, then flip to the second side with little effort. Use the board alone or share your ideas by easily snapping it onto the Nexus Easel, IdeaWall or Storage Caddy. A built-in holder ensures that you will always have a dry erase marker and eraser close at hand. 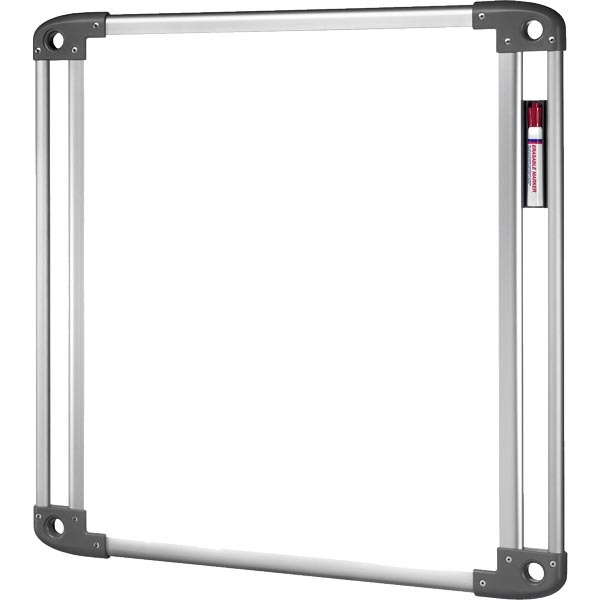 Ghent's Nexus Mobile Whiteboard Tablet Easel is made in the USA and is backed by a one-year warranty. Includes six boards.